We have talked the current situation and the scale of American standard car wash centers in the news ----Autobase travel to America. Here we will not deepen the details of that. Actually, it is hard to do well the things that seems simple, on the country, it needs more efforts. Standard car wash center is a complicated but well -organized systematic engineering which is absolutely not the superficial we have seen. It has more specialized knowledge in the deep. It involves the following fields, design, construction, banks, project department, environment, electronic engineering, IT manage system, logistic, car wash equipment supplier, related service supplier, car wash experts suggestions and other important links and factors. When we notice the involved fields, we will understand that the processing of the car wash service is a huge system and needs other links to coordinate effectively. 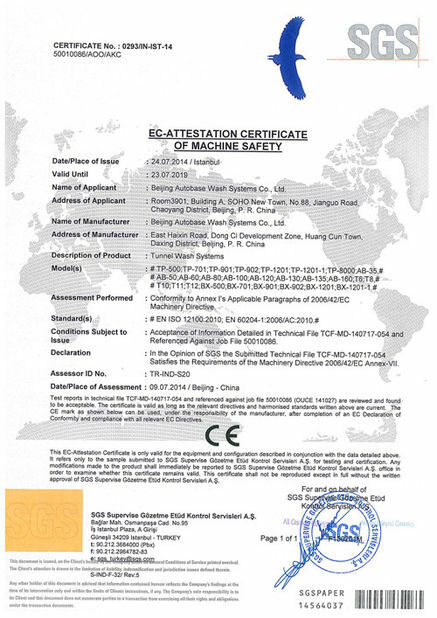 It is extremely urgent to construct and implement the standard car wash center in China.Due to the fast and efficient needs for car wash service in China, we have to think deeply the step that we implement the specialized car wash. Autobase car wash industry link is based on the car wash machine, and develop into systematic industry link that contains car wash service, car wash union , bmc integration of car wash industry, car wash association, car wash products,car wash consult,etc.Autobase group centered as car wash.The main line of the development makes us more expertise and effective in car wash industry. The only thing we do is car wash.
What is the international car wash center like in China? This is a new topic that concerns the car wash future in China. Autobase has always been playing as the specialized and uneven car wash promoter, also as the pioneer that trying new models of car wash. After so many years domestic and global car wash industry experience, we have a certain direction and deep thinking of car wash future. No one can assert which road is right or wrong in the days without a clear direction.So the suggestions that provided by Autobase only give you a reference. The promote of Autobase brand aims at finding partners who have the same consciousness with us and provide partners with professional planning suggestion and the supervision of the construction. The future of professional car wash center should be dominated by professional car wash and equipped with leading automatic car wash equipment. The main form of car wash should be environmental, professional, automatic, self-support. 2013 is the beginning of Autobase to promote the international car wash. We will put forward various tasks that need to be overcome. 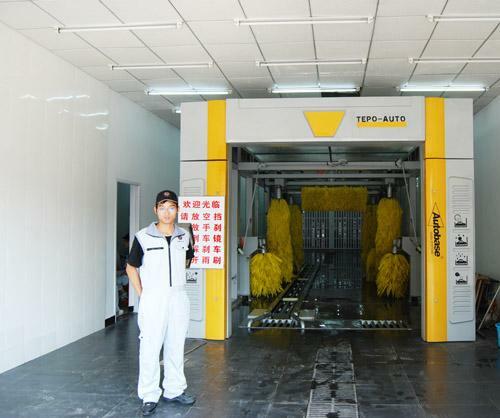 At present, there are many people still can not accept the model of this car wash in China. 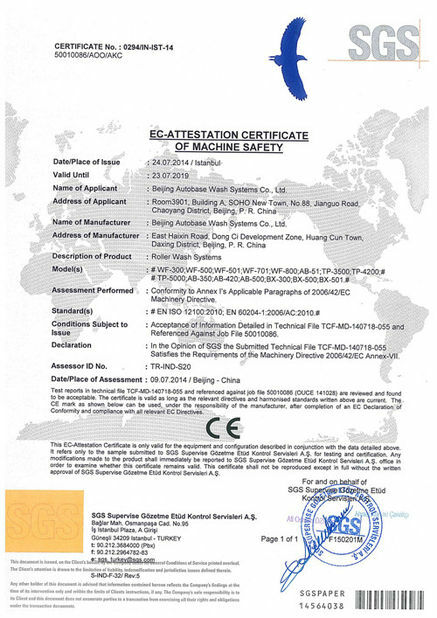 However, we believe that professional car wash will be the main stream in China in the near future.This model will affect the health develop of China car wash. Autobase has always been passing positive energy in global car wash industry and this has become the trustful foundation of global cooperation. Autobase is engaged in constructing and promoting environmental, healthy, and effective car wash service center. We are trying to make the car wash service become an investment direction in future. Service staff will decline sharply several years later in China. 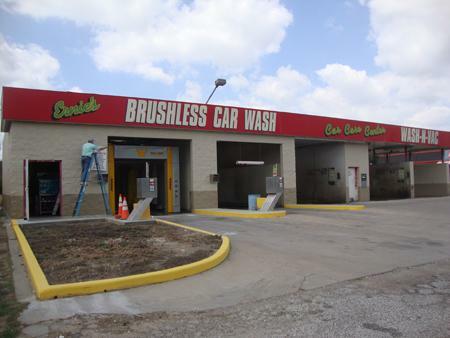 The whole car wash process will be finished by automatic car wash machines. And car owners will have to do the dust absorption and interior decoration themselves. It will become a past for the model of “Nanny car wash ”.On the contrary, the people who only enjoy the service before will have to service themselves,starting a car wash movement. There will have Fast Food Restaurant, Standard Children Playground, Fitness Center, Small Cinema, Coffee House in the car wash center. It is not only a place to wash car, but a center for culture communication and relaxation for families, business elites ,especially on weekends. Here will offer you the latest international news and fashion magazines. The scene is not fiction, it will be the real scene accordingto which the professional car wash center designed.